Record visitors top 28,000! Sales exceed Rs. 15 million! 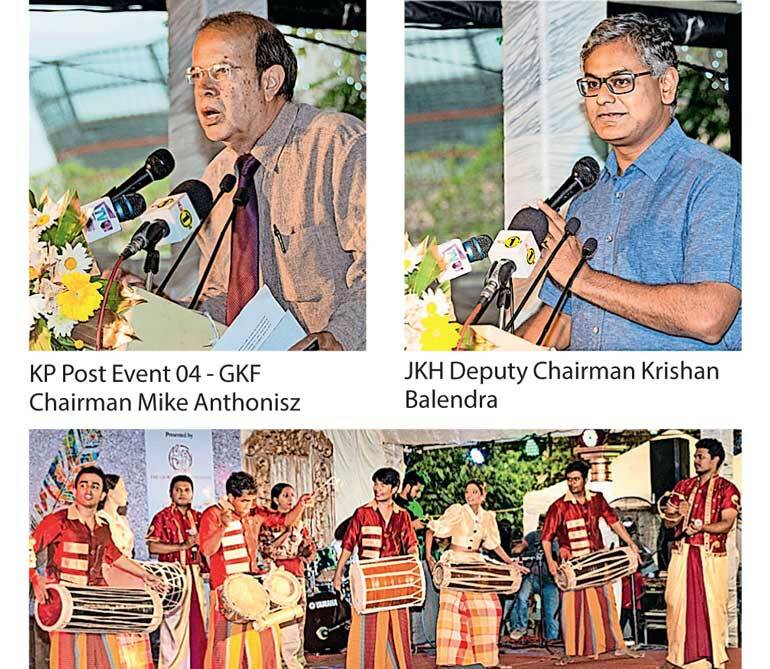 ‘Kala Pola’ – Sri Lanka’s popular annual open-air art fair – celebrated its 25th anniversary in an explosion of colour on Sunday, 25 February under the joint stewardship of Sri Lanka’s premier blue chip company John Keells Holdings (JKH) and The George Keyt Foundation (GKF). Ananda Coomaraswamy Mawatha transformed into a rich palette with creations of 358 artists attracting a record number of visitors – local and foreign, school children and adults – estimated to number over 28,500. Gracing the event were High Commissioner of India Shri Taranjit Singh Sandhu as Chief Guest, JKH Deputy Chairman Krishan Balendra and GKF Chairman Mike Anthonisz, among others. Estimated sales of the event are in excess of Rs. 15.3 million with some of the artists also being commissioned for their extensive range of art and sculpture. Kala Pola 2018 continued to host a Children’s Art Corner attracting 170 child artists guided by the teachers of the Cora Abraham School. This was sponsored by Ceylon Cold Stores PLC which rewarded the kids’ participation with specially designed certificates and refreshments courtesy of Elephant House. The evening came alive with a variety of entertainment provided by Namaskara, Ranwala Foundation, Music Matters and the Ravibhandu Vidyapathi Drum Ensemble while 45 child musicians of The Music Project performed orchestral pieces during the morning. Kala Pola 2018 was supported by a team of 105 volunteers from the John Keells Group. Whilst the event catalogue publicises artists exhibiting at Kala Pola, online platforms such as www.kalapola.lk and www.srilankanartgallery.com hosted by John Keells Foundation enable Sri Lankan artists to access markets throughout the year. Visit www.kalapola.lk or contact for further information Johnkeellsfoundation@keells.com.